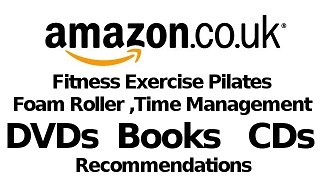 Find below various Books and DVDs that I recommend.Topics include Fitness , Exercise, Time Management/Self Management (often relevant for our Personal Training Clients), Pilates (Pilates for Men), Pilates for Sport e.g. Golf, Running, Horse Riding, Prenatal Fitness, Pilates Rings, Foam Rollers and other relevant books e.g. Tim Ferris “4 Hour Work Week“, “4 Hour Body” and “4 Hour Chef“. The last one is about effective and efficient Learning “and” Cooking, as well as topics that I’m generally interested and books that I would recommend on topics like Mind Mapping, Lateral Thinking, and Creativity.